The Dogger Bank is in the middle of the North Sea and crosses the offshore waters of the UK, the Netherlands and Germany. Over 12,000 square km of species rich sandbank, an area almost double the size of Devon, has become Britain’s latest marine protected area to safeguard important sea life and habitats. 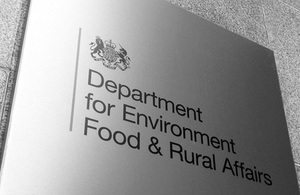 The UK section has been submitted by the Government to the European Commission and now has candidate Special Area of Conservation (cSAC) status. It will be the largest European Marine Site to be submitted by any Member State for protection and links up with the existing sites in Germany and the Netherlands. “The thousands of species and habitats in our seas need just the same protection as those on land. The Dogger Bank is home to a fantastic array of sea life and habitats and thoroughly deserves special protection. The Dogger Bank is an important feature in its own right as well as being home to crabs, brittlestars (a type of starfish), clams and other crustaceans. It is also important for fish such as plaice, sole and sand eels. Candidate SAC status means that the site must be protected from damaging activities to ensure its features are conserved. A public consultation by the Joint Nature Conservation Committee (JNCC) has also begun on three more proposed SACs; the Wight-Barfleur Reef in the English Channel and the Pisces Reef Complex and Croker Carbonate Slabs in the Irish Sea; and a further consultation by Natural England on a reef site at Studland to Portland commences today. Wight Barfleur reef is an area of bedrock and stony reef located in the central English Channel. A range of colourful marine animals are found there including sponges, tube worms, anemones and sea squirts. Pisces Reef Complex is a series of small reefs in a muddy basin of the Western Irish Sea. The reefs support a mixture of lampshells, sea squirts, hydroids, sponges and fish. Croker Carbonate Slabs is an area in the mid-Irish Sea with carbonate structures made by methane leaking from under the seabed. It supports a mixture of colourful soft corals, sponges, tube worms and anemones. Studland to Portland is located off the Dorset coast in Southern England. The site exhibits huge geological variety, with its reefs supporting pink sea fan, cup corals and mussels amongst a wide range of other species. Work is also progressing on Marine Conservation Zones, with the four regional MCZ projects in the process of submitting their recommendations to Natural England and JNCC and the independent Science Advisory Panel for review. From today there are 95 SACs for marine habitats and species around the UK. The UK Government has submitted the Dogger Bank to the European Commission to be included within the European ‘Natura 2000’ network of protected areas. The site is now a candidate Special Area of Conservation. It will also contribute towards the OSPAR network of Marine Protected Areas in the North East Atlantic Ocean area. The UK is one of 15 contracting parties to the 1992 OSPAR Convention for the Protection of the Marine Environment of the North East Atlantic, who have all committed to the establishment of an ecologically coherent network across the OSPAR area. Further information on the Dogger Bank and the public consultation on the three other proposed SACs is at http://jncc.defra.gov.uk/page-4534#DoggerBank. For more information on marine protected areas go to http://www.defra.gov.uk/environment/marine/protect/mpa.